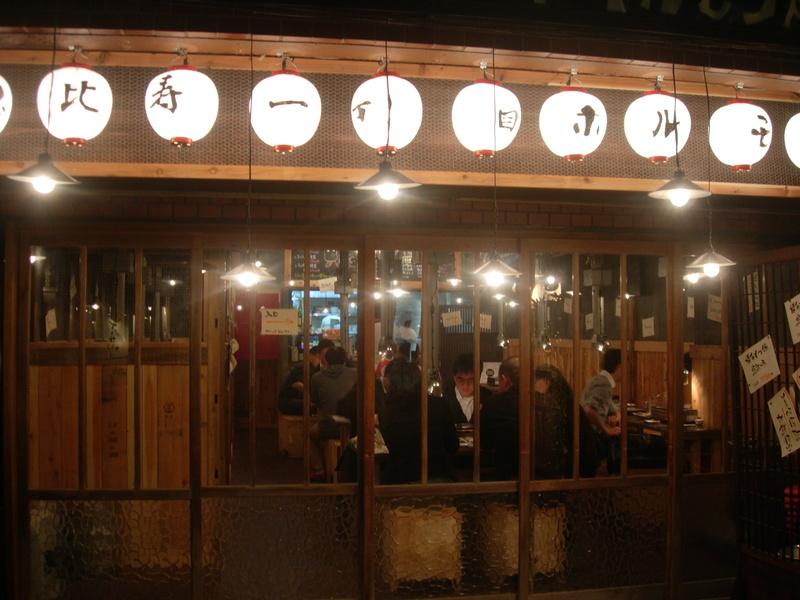 Ebisu Itchome Horumon is a few minutes’ walk from Ebisu station. 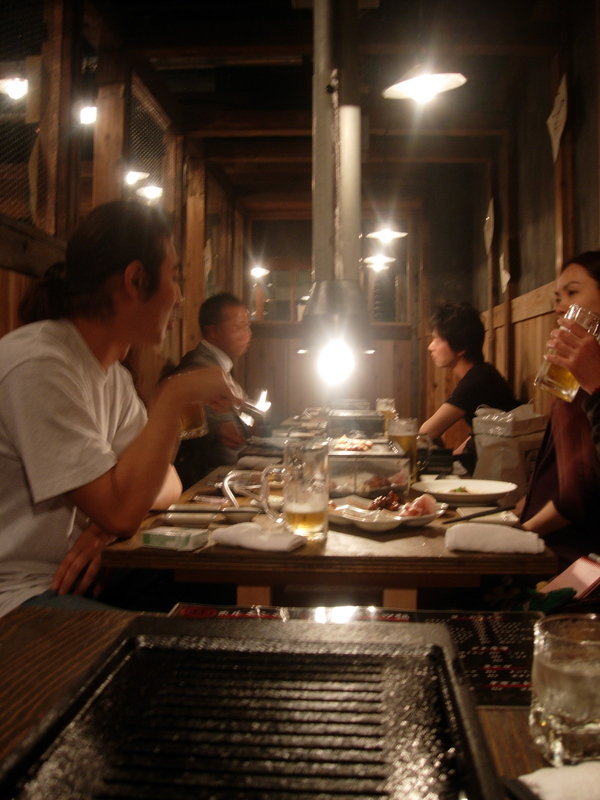 Gas grills are on each table with a strong exhaust pipe over each grill. Our first course was a rich liver sashimi, very intense in flavor. 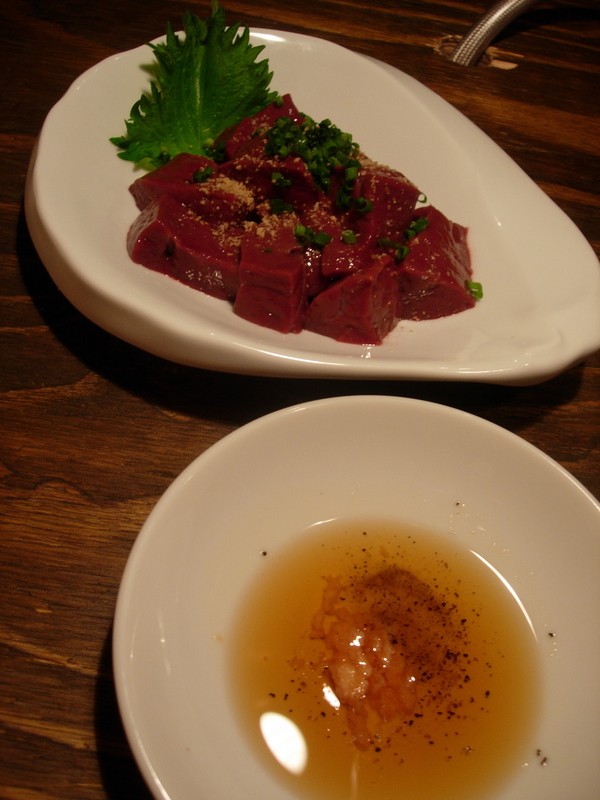 It is garnished with sesame oil and salt. A variety of innards to grill. Other tables that had this same item served had little signs in each well describing what each item was. We were told that the restaurant ran out of signs. Regardless, it is a variety of textures and flavors. 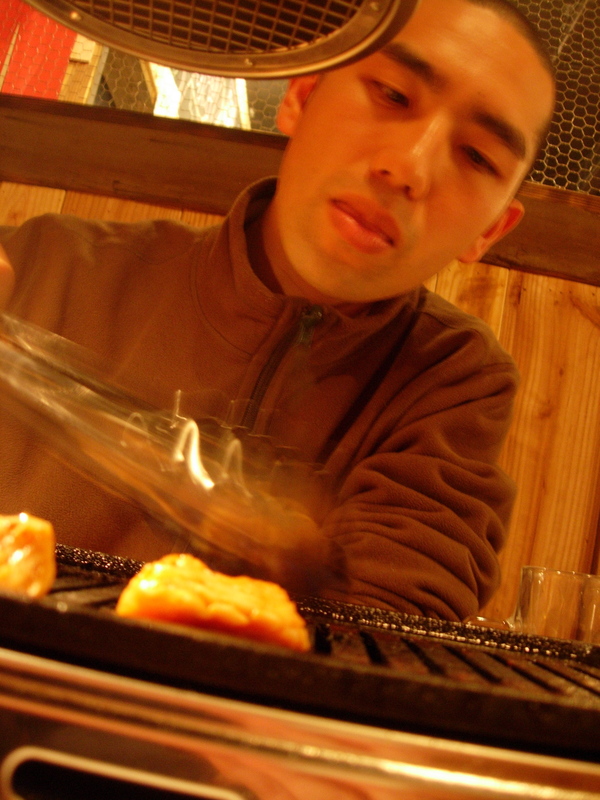 Shinji grills the offal. This is always fun for diners who love to cook. 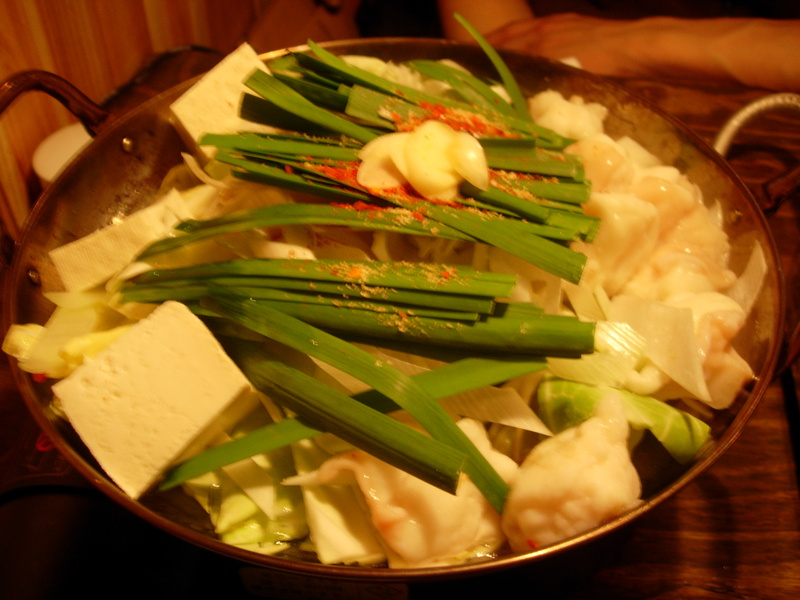 Our last course was a hot pot of offal, tofu, and vegetables. 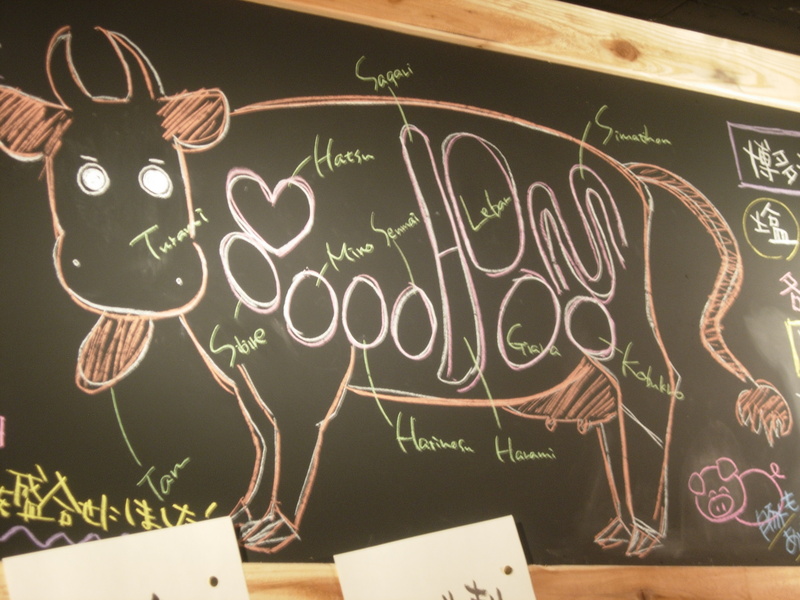 To help diners figure out the different parts of the cow a guide is drawn on a chalkboard. 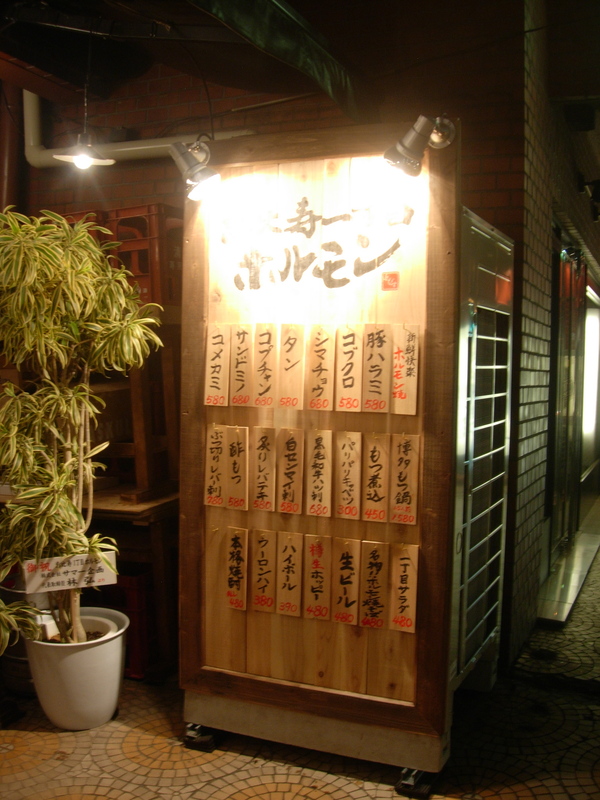 The menu is also posted outside of the restaurant.